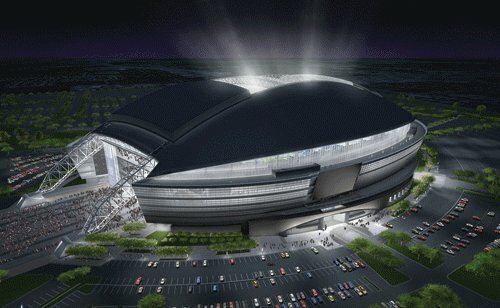 So what's so special about the new Dallas Cowboys Stadium? How about the world’s largest retractable roof. And the world’s largest 1080p HDTV video board. Approximately 3 million square feet, and almost $1.2 billion (yes, that’s billion) in cost. And oh yes, it's beautiful as well. That’s hard to pull off for something so massive, but the sweeping lines and outward sloping walls of the glass, steel and concrete building give it an aura of sleekness, style and grace. As an NFL arena, this Cowboys stadium probably has no peer. Normal seating capacity is 80,000, but it is expandable to accommodate up to 100,000. The Mitsubishi Electric Diamond Vision scoreboard by itself cost $42 million. It runs from one 20-yard line to the other 20-yard line. All in HD. That’s impressive. 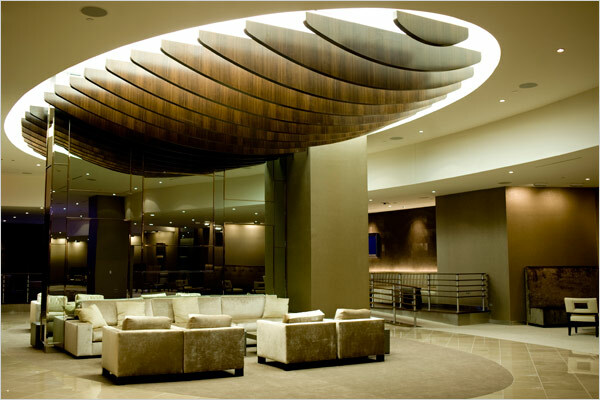 There are 300 luxury suites spread throughout five levels at the Cowboys new stadium, ranging in price from $100,000 to $500,000 per year. And there are LED ribbon boards encircling the stadium several times, keeping the fans entertained and up-to-date on game statistics. The world’s largest retractable roof, supported by two giant arches, can open or close in just 9 minutes. 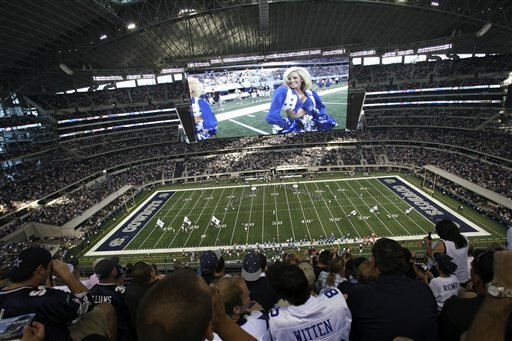 When closed, the temperature inside the Dallas Cowboys new stadium can be kept at 72 degrees – which comes in handy during the blistering Texas summertime heat. All of that is just some of what is the Dallas Cowboys new stadium. But that’s not all that Jerry Jones, the Cowboys owner, expects it to be. Tourism officials believe that people will come from all over the world to view the Dallas Cowboys Stadium, and that this iconic structure will become a top tourist destination in Texas. This Cowboys Stadium certainly has all the amenities you would expect, and more, but it was designed with one major feature in mind – flexibility. To be a major entertainment destination, its designers knew it had to not only be world-class, but had to be flexible enough to accommodate everything from concerts to soccer games, to basketball games to conventions and everything in-between. And on that count, the Dallas Cowboys Stadium definitely appears to be succeeding. It has already hosted numerous major concerts, a sold-out international soccer tournament, and has been awarded the 2011 Super Bowl, as well as the 2010 NBA All-Star Game and the 2014 NCAA Final Four. Whether or not the new Cowboys Stadium in Arlington becomes a true national tourist destination is yet to be determined, but from all appearances, the smart money says yes. 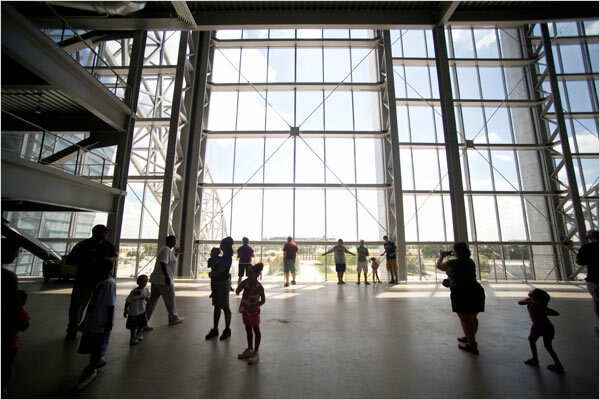 If you get a chance, take a tour of the Cowboys new stadium and decide for yourself. It’s not free, but it IS worth it.